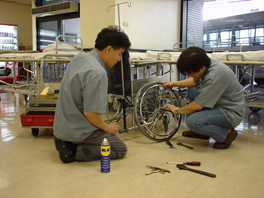 Nuts and Bolts ensures safety, efficacy and enhance patients’ experience. Pamela Youde Nethersole Eastern Hospital (PYNEH) brings in new definitions of Facilities Management in the healthcare arena. Total solution is the key concept in facilities management in today’s healthcare arena. PYNEH has realized keynote projects, blending and balancing diverse interest of clinicians, engineers, building surveyors and administrators. 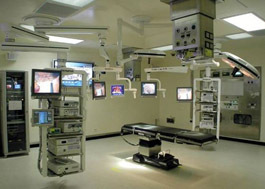 A dedicated OT suite, EndoLap OR was the first of its design in the Asia-Pacific region in 2005, combining endoscopic and laparoscopic surgery, therefore enabling luminal and peritoneal surgery to be performed simultaneously. 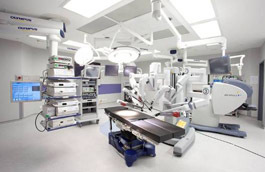 Opening of the world’s first Endo Lap OR with the latest high definition model of the Robotic Surgical System in 2009 marks a significant breakthrough in medical technology.